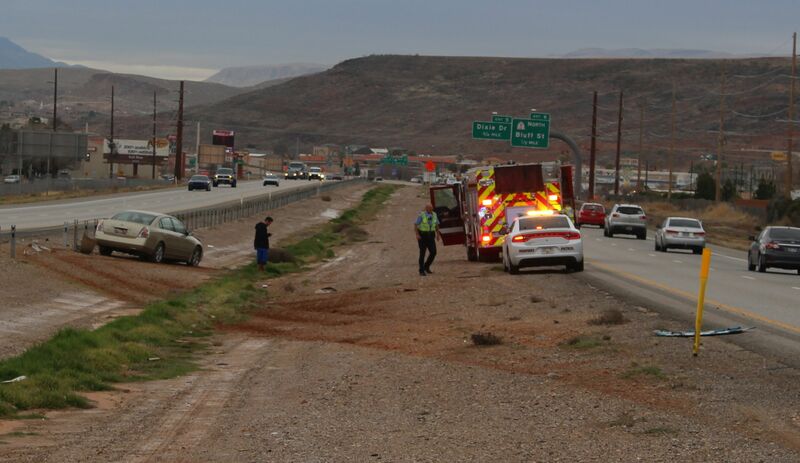 ST. GEORGE —A St. George man took a scary ride Monday when another driver changed lanes too close to him, sending him into the median of Interstate 15. 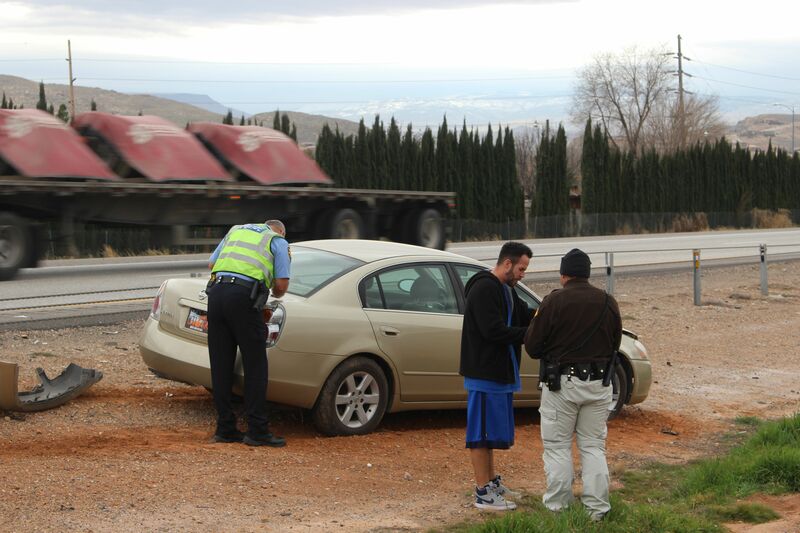 Matthew Reed of St. George said he was traveling southbound on I-15 between the St. George Boulevard and Bluff Street exits when a white Honda moved over into the lane his gold Nissan was occupying. He attempted to keep his car on the roadway, but slipped into the dirt median where his car collided with the cable barrier on the northbound side, keeping him from crossing into opposing traffic. St. George Police Officer Jamison Hale was the first on the scene, just after 2:30 p.m. He said that the other driver stopped about 1/2 mile down the road near the Bluff Street exit. Utah Highway Patrol Sgt. Jake Hicks said the driver of the white Honda was an elderly female. Hicks added the two cars did not make contact with each other. Reed’s Nissan was towed away from the scene. The lady driving the Honda gave her information to the trooper who responded. She did not receive a citation. Units from the St. George Police Department, Utah Highway Patrol, Utah Department of Transportation and St. George Fire responded to the scene. Strange…….I don’t suppose anyone was using a hand held cellular device at the time, we’re they???? 11:39p.m. You get started a little early, didn’t you?